Weakness seen in other in leisure vehicle industries has not affected the marine industry, according to Brunswick CEO Mark Schwabero. 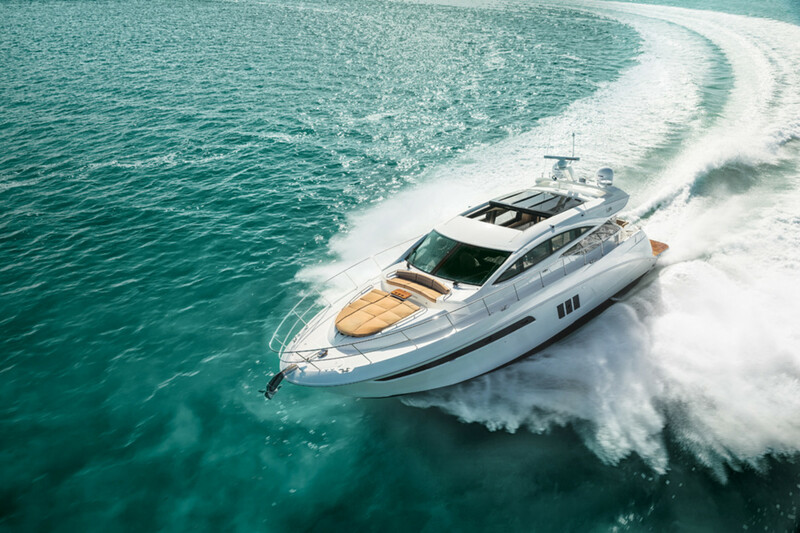 Demand for new models like this Sea Ray 590 L Express have helped boost the company’s sales. Brunswick reported a second-quarter net sales increase of 9 percent, reflecting growth in fitness and fiberglass outboard and aluminum boats, as well as solid performance in outboard engines and marine parts and accessories. “If you end up in stable recovery mode where we’ve got a pretty nice balance between recovery at the high and low end, and you end up seeing a reemergence of value on value side, it might have more of an up side on units, which could put pressure on [average selling price]. But we will still get to same the dollar amount,” Schwabero said. The company continues to introduce new product at a faster rate than the rest of the industry, Schwabero said, and continues to operate on a pull model rather than push, making inventory more on demand. “We had pretty good share performance in the marketplace, and we’re going to create an environment where we may trail retail a little bit with wholesale shipments in the first part of the year, and catch up in the back half,” CFO Bill Metzger said.